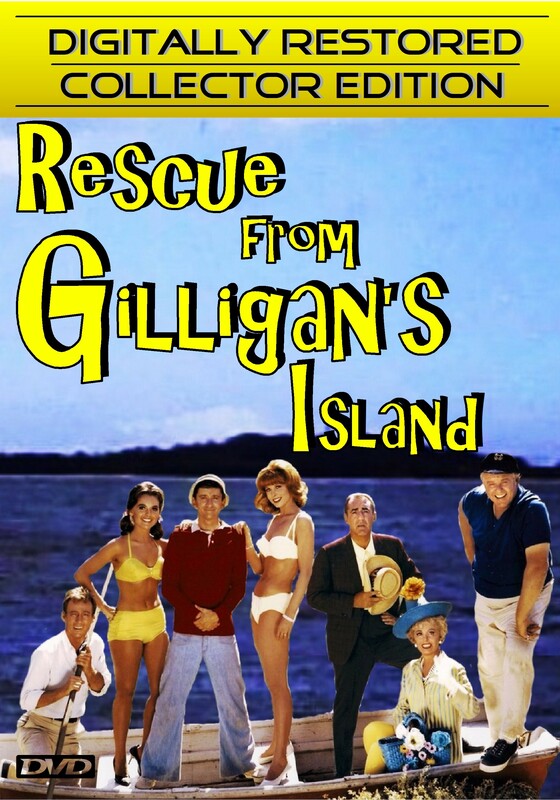 Rescue from Gilligan's Island ~ DIGITALLY RESTORED ~ COLLECTOR EDITION, starring Bob Denver, Alan Hale, Jr., Jim Backus, Natalie Schafer, Russell Johnson, Dawn Wells, Judith Baldwin. The movie for which all the world has been waiting, finally the castaways are rescued. But you will never guess what happens: Gilligan finds himself involved in international intrigue. Who would have thought? Their luck goes from good to bad and back again, over and over. The fun never stops as Gilligan somehow saves the day from spies, sharks, cads and the world, truly amazing! Order this incredible tale and discover the answer that has perplexed mankind since the creation of Gilligan’s Island.